I have been dying for a reason to go to The Cupcake Cottage in Fort Worth. When one of my friends decided to come into town with her girls I knew it would be so fun to go together. Everyone loves cupcakes, and let me tell you...these are so rich and yummy and fresh! It was a perfect outing for the six of us. Here is the best picture I could get before we went in. It was only 9,000 degrees outside, and it is really hard to make kids stand still outside a cupcake shop! They were so excited, and I was too. 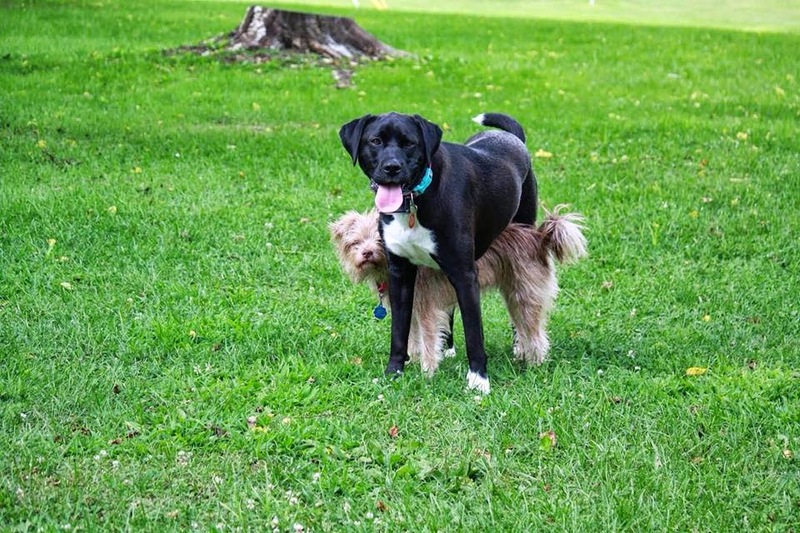 This picture totally makes me laugh. Layla is so irritated with me. She was saying "Mommy can you just buy me a cupcake, put your camera away." And clearly Hayden is ready. He is in the background pointing at the cupcakes saying, "cake, cake, mommy cake!!" 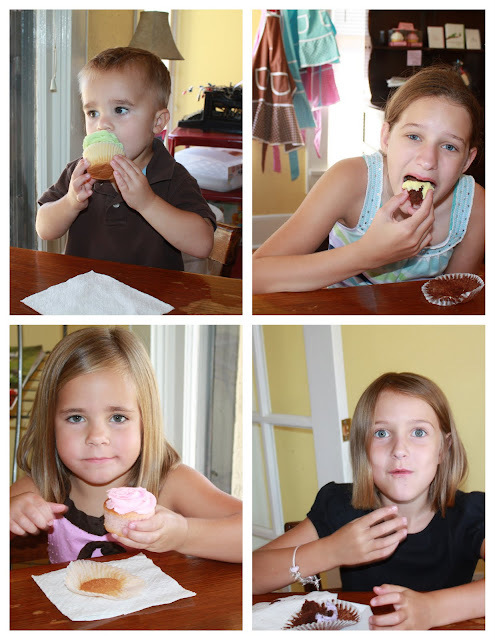 Hayden picked a Key Lime cupcake, Mia and Macy ate Double Chocolate, and Layla chose Pink Lemonade. All the flavors were good to me. Except the Chocolate...I'm not a chocolate fan. But they all said it was the best chocolate cupcake ever! Hayden is so not happy in this picture. I took a bite of his key lime cupcake. Oh my, he was so upset with momma! HA! So I ate the rest of this one and gave him my vanilla cupcake. The vanilla was really my favorite flavor. Mia and Macy...two pretty girls...I love them so much! I am so glad they came for a visit. I have more fun posts to come about our fun visit with these two. They may as well be my nieces. Ooh, ooh! I'm not a huge cake fan but I do enjoy a fresh cupcake. That place sounds really yummy and I love your pictures. I'm not a huge chocolate fan either so I would have gotten vanilla or strawberry. What a fun place to visit! Key lime does sound fantastic, but I think my little guy would have been a bit irritated, too. In fact, yesterday he took a bite of a sour gummy worm (ICK in my opinion) and started to cry. Hope you can beat the heat, sounds like a scorcher. The cupcake shop looks so cute! What a fun and yummy outing. Happy Friday! haha! ur kids faces are priceless! esp hayden b/c you look a bite! that is soooo something i would do! i'm not sure we can be friends now...how can you NOT like chocolate? Cupcake Cottage is literally 1 minute from where I work now! I may have to go get one today!ha..ha..Rae J's has great cupcakes too and it's not too far. I went there at Christmas time and they had eggnog cupcakes! so good! Love that pic of Layla...too cute w/ all that attitude!!! I wish we had a cupcake shop or bakery that sold them near by. That shop looks like an old Taco Bueno or Taco Bell!!! Hope y'all have a great weekend!!! btw-I can't believe you don't like chocolate! I would probably lose a lot of weight if I didn't like it so much! Ha! Mmm.. I'm gonna have to look this place up. They all sound yummy. We're headed to Arlington for a couple Ranger games in a month and I'm wanting to try Sprinkles in Dallas but this may be closer/easier to get to than going all the way through Ft. Worth into Dallas. The Key Lime really sound good right now. Um, hello!!! I want to go there!! I love a good cupcake! This place looks so awesome, so glad you were able to go!